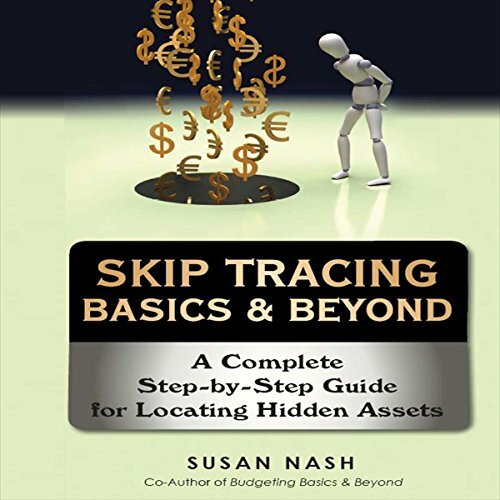 Showing results by narrator "Susan Nash"
Every chapter of this book mentions skip tracing secrets that have been put to a practical test by thousands of skip tracers nationwide. Discover the tricks of the trade, from an expert who knows things and is not afraid to share them. Get a sneak peek at skip tracing's finer points and discover the skip tracer's magic tricks. Pick up secrets for your bag of tricks. Learn to skip trace like a pro by using techniques like suggestion and autosuggestion, tradecraft and trickcraft, misdirection & logical thinking, roping and deductive reasoning, and the invisible web and operation trust-me.